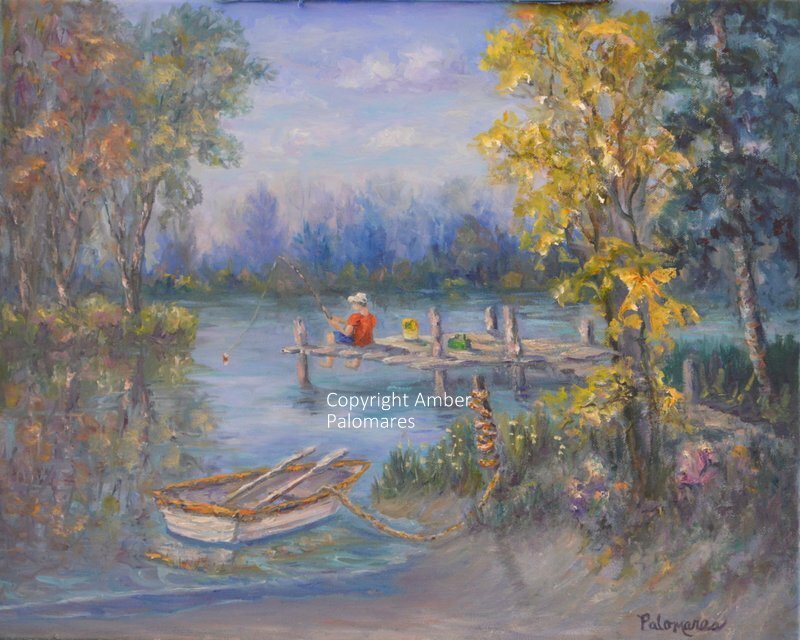 A peaceful oil painting of a boy fishing in a cove with glorious autumn trees. Lovely textures and colors highlight this delightful landscape painting. A little old boat tied to the shore invites you to go rowing. Me in my studio painting this lovely piece!